Here you can find complete procedural information on Punjab Government Servants Benevolent Fund Marriage Grants 2019 – Updated Rates & Form. Government recently revised Benevolent Fund prices for it’s employees, you can check here new increased updated rate now. You can also download Punjab Government Servants Benevolent Fund Marriage Grants 2019 Form. Who will Receive Punjab Government Servants Benevolent Fund Marriage Grant? 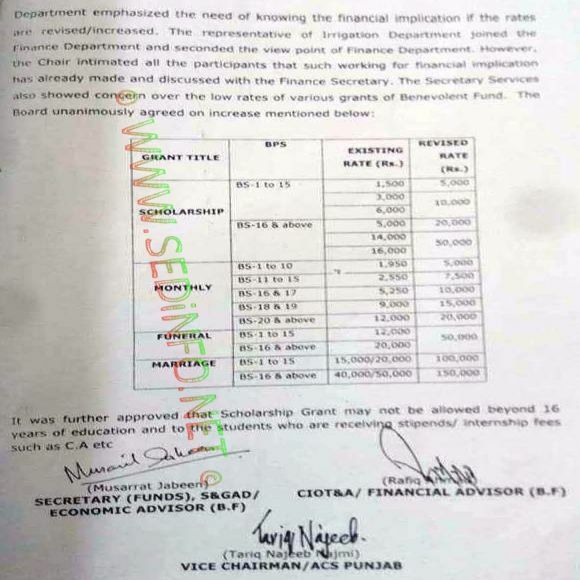 Government has revised rates for Punjab Government Servants Benevolent Fund Marriage Grant on 19-01-2019, below you can check old rates as well as new rates, according type of employee. How to Apply for Punjab Government Servants Benevolent Fund Marriage Grant? It’s compulsory to submit application with in 3 years after marriage, after that period no application will be accepted. It’s mandatory for application to be submitted in Benevolent Fund Board through respective department. Attested copy of newly married daughter’s CNIC or Birth Certificate issued by Union Council. Nikah Registration Certificate by NADRA (Computerized Nikah Nama) attested copy. 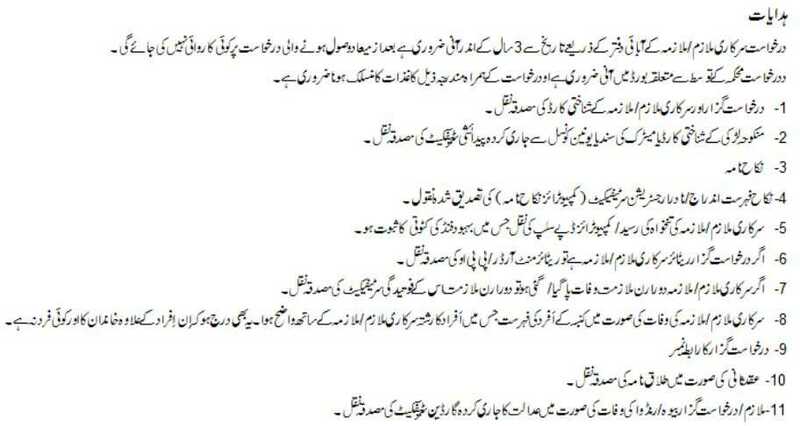 In case of retired employee, attach attested copy of retirement order or PPO. In case of died employee, attach attested copy of in-service Death Certificate. Moreover, also attach verified family members list, that can prove the blood relation of newly married female to died employee. Attested copy of guardian certificate by court (in case of died or divorced). 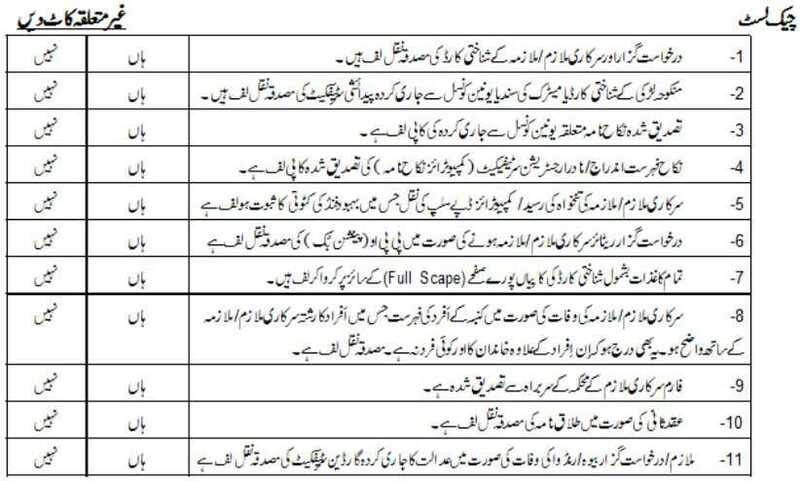 Don’t forget to tick or cross following checklist for marriage grant. Feel free to comment below, in case of any query regarding Punjab Government Servants Benevolent Fund Marriage Grants 2019 – Updated Rates & Form. You can also contact us, We’ll try to be as responsive as possible.